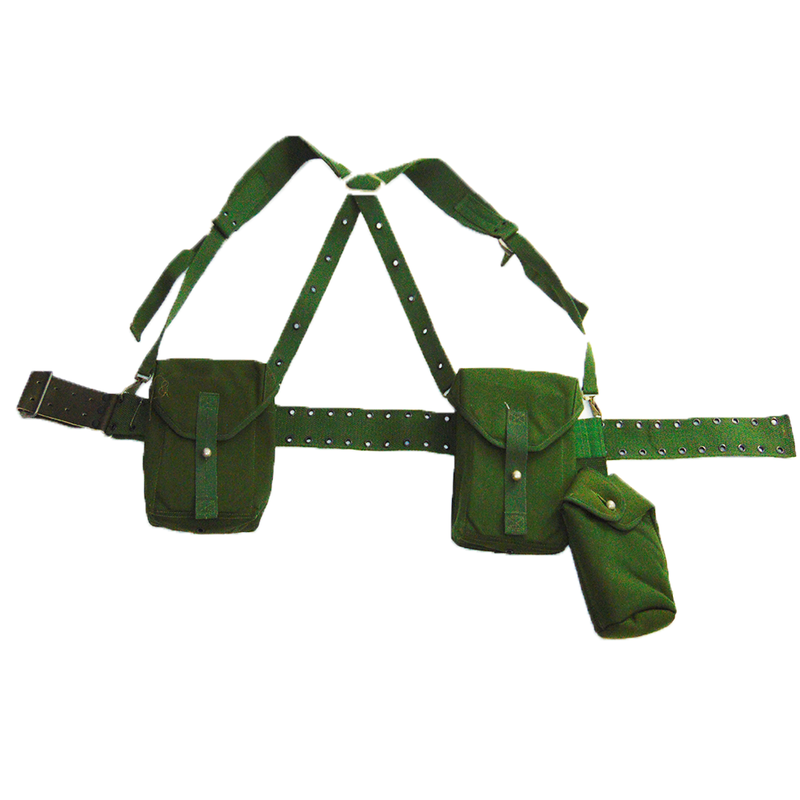 Manufactured in the 1980s for neutral Sweden, these outstanding simple webbing are constructed from a sturdy nylon and feature two large magazine pouches, and one lower canteen pouch. 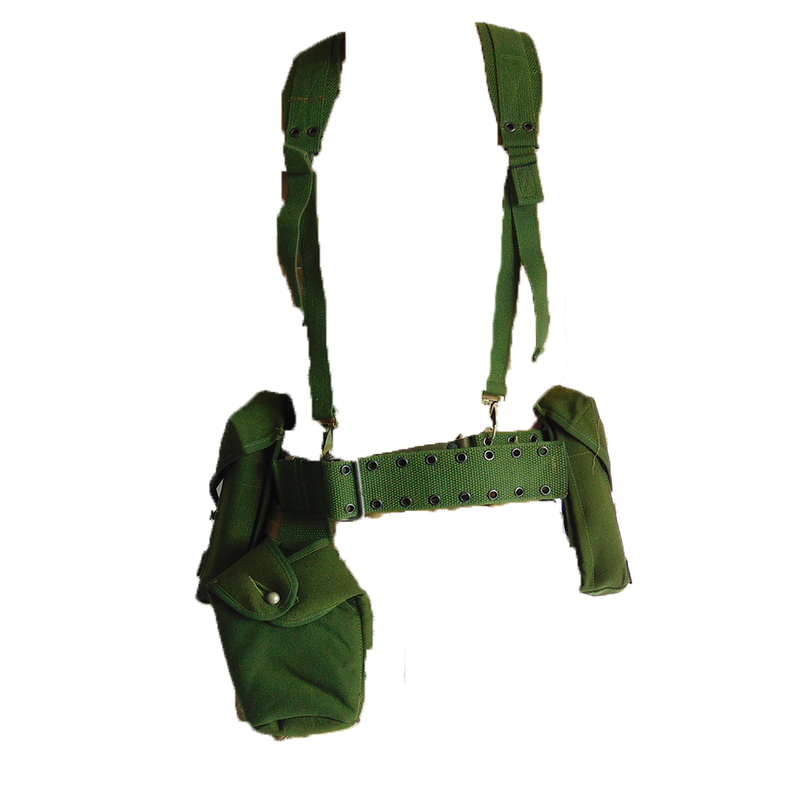 Since essentially went from billions of dollars to nothing overnight in terms of military spending at the conclusion of the Cold War, tonnes of these webbing sets were surplused, at dirt cheap prices. 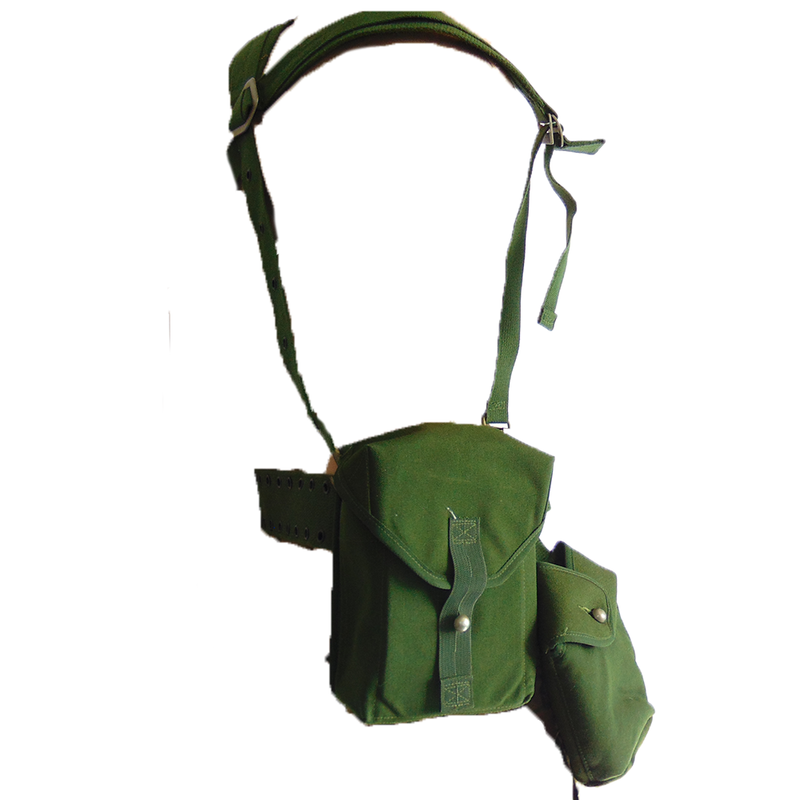 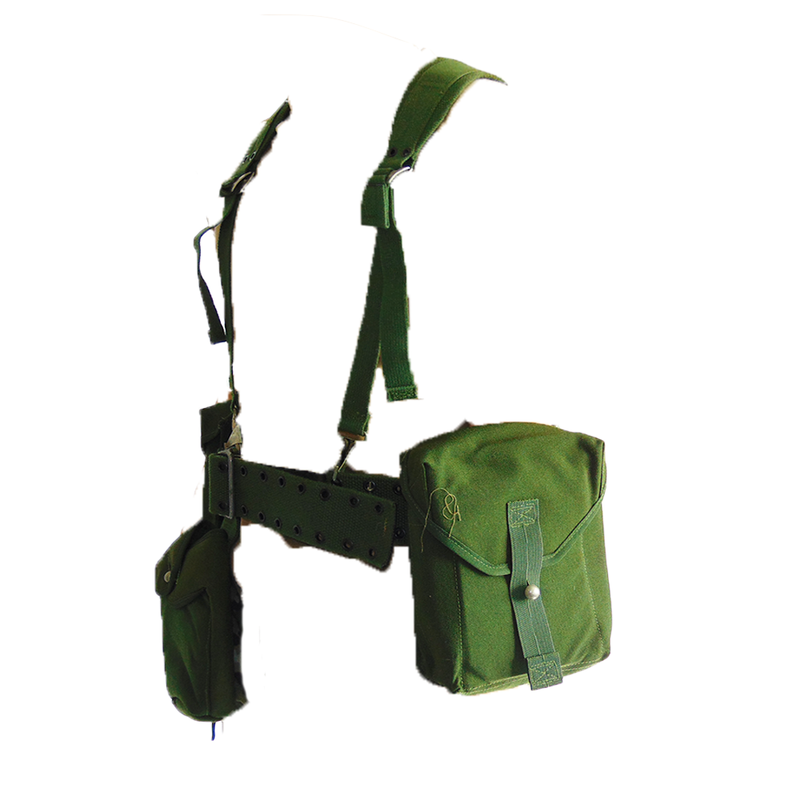 Each webbing set will include two magazine pouches with the yoke, pistol belt, and canteen pouches contained within.